I've been remiss in failing to call attention to an imminent threat facing one of the last vestiges of mid-20th century nostalgia left in the United States. 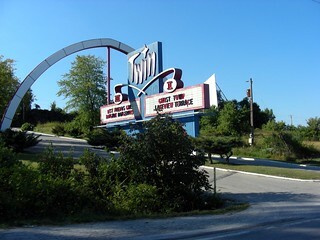 As many (if not most) of the world's drive-in theaters close up for winter this year, it will be for the last time. Just like human beings who have abandoned cameras that use film, preferring the convenience and high definition of digital photography, Hollywood has decided that the days of shipping large 35 millimeter reels of film to theaters should come to an end, opting only to distribute their movies to theaters with digital projectors. The cost of equipping the nation's drive-in theaters with these projectors runs about $80,000 each, an amount out of reach for many drive-in owners who operate their small businesses by the skin of their teeth for the sake of preserving the history and nostalgia of the drive-in experience for the enjoyment of future generations. Many of them will simply become extinct. Our local Twin Drive-In didn't make this list. Having two screens, it needs two projectors. Movie Night at the Twin Drive In is tonight... an effort by the most devoted drive-in enthusiast I've ever known, a young man who calls himself KChistoryman Meade. KChistoryman has spent the whole summer working tirelessly to save the area's last two drive-ins, and if he succeeds history and movie buffs all over the area will owe him a huge debt of thanks. 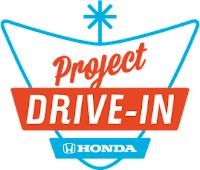 So if you ever loved a drive-in, no matter where you are, show your support: vote at Project Drive-In, tell your friends, take in a movie this weekend, spend freely at the concession counter, and thank the people that have kept it all going for as long as they can... it could be your last chance.